Brian Field and I were best friends from 4th grade to 12th grade. As best I can remember, he was the first classmate I met when my family moved to Whittier in January 1966. (Brian confirms this, saying our fourth grade teacher, Mrs. Mullen, assigned him to be my "buddy" on my first day at school. This was at Valley View school, which no longer exists.) We were in Boy Scouts, cross country, track, and wrestling together. We drifted apart after high school. We saw each other very briefly in Las Vegas in 1979. That was the last time I saw him before today. 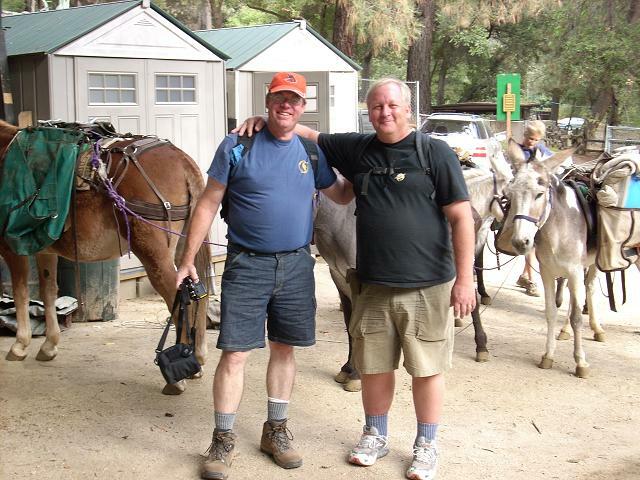 In this photo we are at the pack station at Chantry Flats. The pack station services cabins in the Big Santa Anita Canyon. 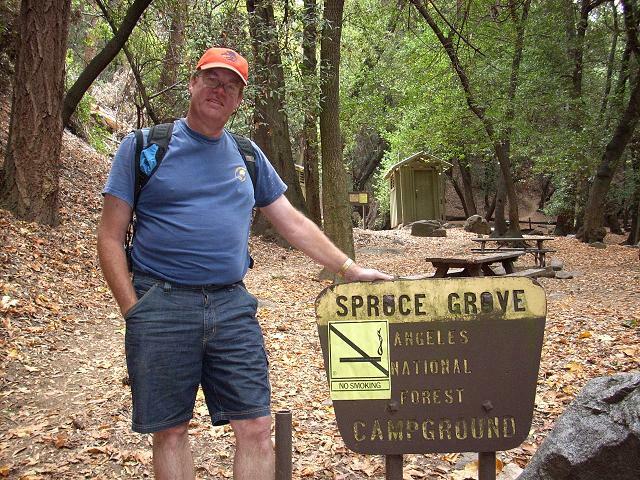 We were going to hike four miles to Spruce Grove, a campground we frequented as scouts. Spruce Grove was, in fact, my first-ever backpacking trip. 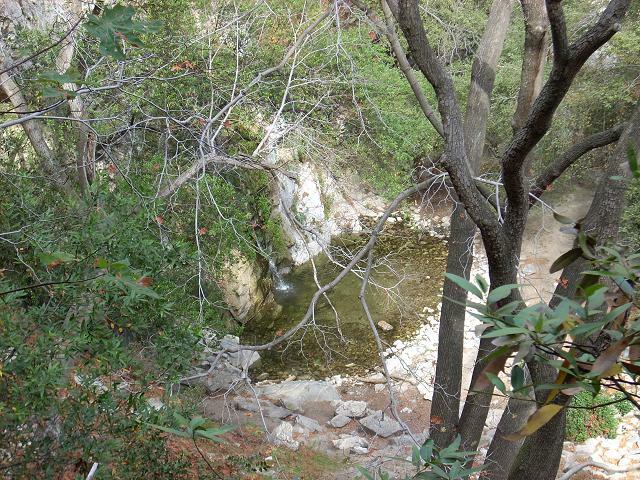 This is looking down at the pool below Sturtevent Falls. We sat and talked at Cascade picnic area for quite a while and the pack train caught up with us. 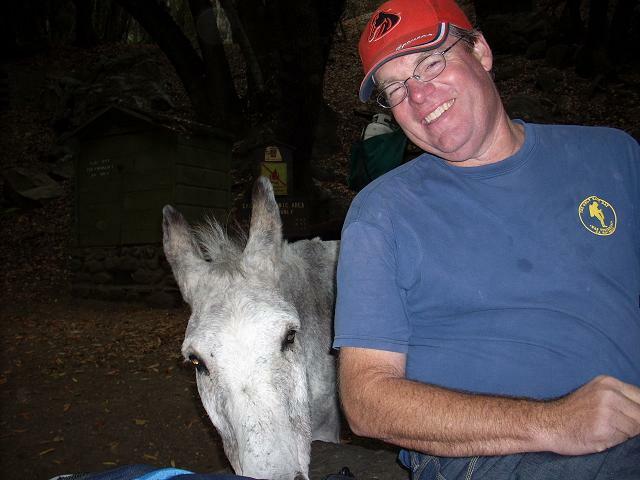 This is Cisco, a 34 year old "retired" donkey. While the others haul supplies, Cisco gets to follow along without a lead. Cisco was very friendly. 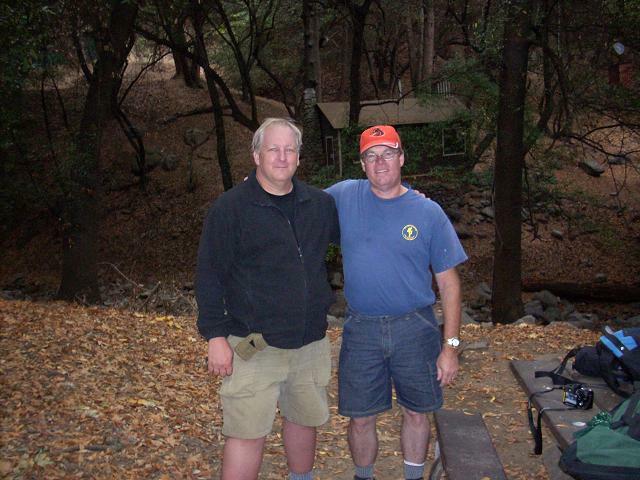 This is Brian and I at Spruce Grove campground. This is Brian at Spruce Grove campground. 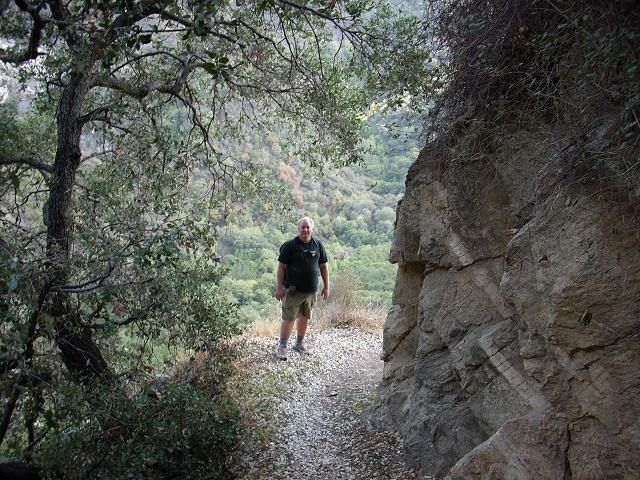 This is me on the return trip to Chantry Flats. 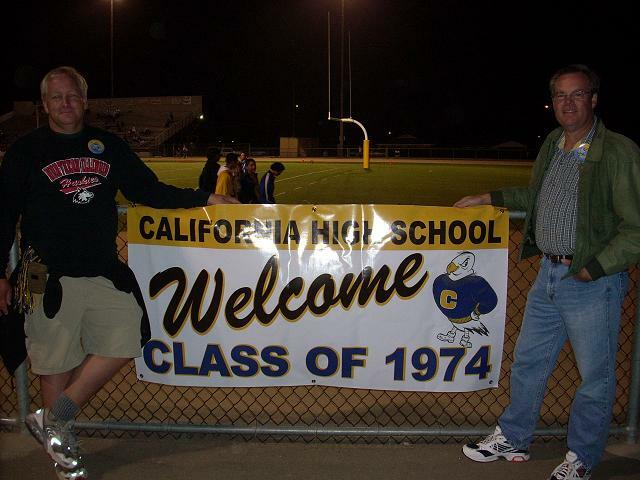 After the hike Brian and I (along with his brother Brent and my sister Ida) went to the homecoming football game at our alma mater, California High School, Whittier, CA. What a fantastic day! Brian and I reconnected just as if we were back in the old days, eating lunch out of brown paper bags, sitting in front of the foreign language building at Cal Hi. Copyright © 2007 by Bill Qualls. Last updated October 9, 2007.